Health flexible spending accounts (FSA) allow you to pay for out of pocket health care costs with pretax dollars. 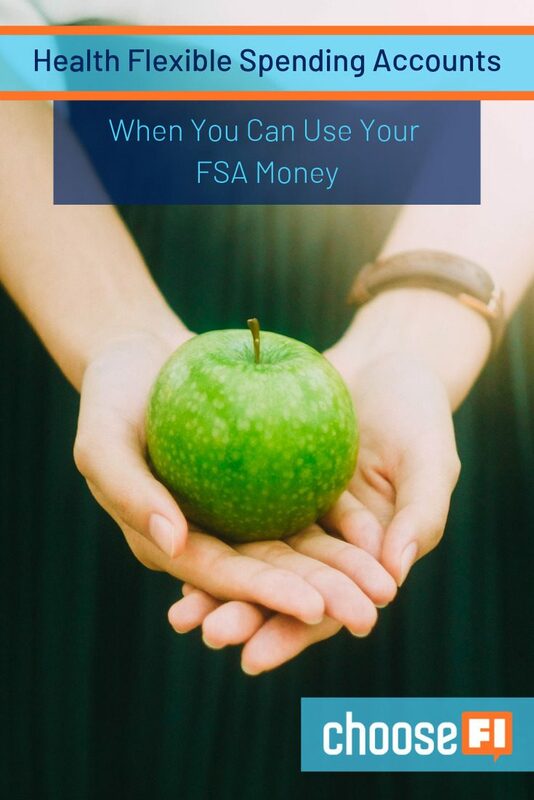 An FSA is typically a bank account that offers a debit card or checks you can use to make purchases or reimburse yourself for qualified costs. Unfortunately, this benefit has to be offered by your employer in order to use it. In 2018, you could contribute up to $2,650. This limit was raised to $2,700 for 2019. If you’re able to contribute to this type of account and are chasing financial independence, it offers a chance to improve your finances, potentially by 1%. If you’re in the 24 percent marginal tax bracket and contribute $2,700 in 2019, that’d save you $648 in federal income tax. That's free money! You’ll only save money if you actually use the funds in your FSA. Unfortunately, FSA funds are considered “use it or lose it”, unlike health savings accounts (HSA). If there is a balance in your FSA at the end of the year, you give up that balance. Some employers allow you to roll over up to $500 in unused money, but they don’t have to. Others may offer up to a two and a half month grace period to use remaining funds. If you’re going to use an FSA, make sure you know your employer’s rules and have a plan for how to use the money you contribute. So what exactly can you spend your FSA dollars on to make sure you don’t lose the money at the end of the year? Here are the current eligible expenses to help you plan how much to set aside in an FSA next year. This list can also inspire you of ways you can use the remaining balance that doesn’t qualify to be rolled over before you lose it. FSAs allow you to use the money in the account for qualified medical expenses. Sadly, they don’t allow just any medical expense. Instead, expenses are limited to what your particular FSA plan allows. These expenses must also meet the requirements of medical or dental expenses as defined in IRS publication 502. The list is extremely long and detailed, so we’ve listed the highlights below. Check out IRS publication 502 for a complete list, starting on page five. You or your spouse could be claimed as a dependent on someone else’s tax return. In most cases, the list your plan allows and the IRS Publication 502 should be aligned. However, you should double check to make sure your plan hasn’t disallowed any particular expenses. Finally, make sure the expenses are incurred during the coverage period. FSAs are another way to save a bit on your federal income tax bill. Combined with other strategies, you can significantly reduce your federal income tax bill and use that money to help speed up your journey to financial independence.